Restylane is a brand of dermal fillers designed and produced by Q-Med. This brand is well known for its active ingredient—non-animal stabilized hyaluronic Acid (NASHA)—used across its wide range of products. The hyaluronic acid is harvested from fermenting bacterial cultures and purified to be free from disease-causing contaminants. Restylane Skinboosters: This collection of homogenised aesthetic solutions is intended to boost exhausted and dehydrated skin via biorevitalization process. Restylane Lyps: As the name suggests, this filler is perfect for plumping and sculpting the lips. Restylane: This filler is made of intermediate sized NASHA particles, perfect for treating moderate wrinkles. Restylane Lyft: The fillers in this collection contain large NASHA particles to volumise more severe facial creases like nasogenian furrows as well as hollowed regions. Restylane SubQ: This class of implants contains the large NASHA particles and are designed for large amounts of volume replacement. Facial areas affected by fat loss can be corrected using this implant. Restylane Emervel: This range is processed using Optimal Balance Technology resulting in 5 different fillers with a larger particle size and stronger cross-linking. Juvederm Vycross: The technology used to create these fillers combines 90% (majority) low molecular weight and 10% (minority) high molecular weight hyaluronic acid. The resulting fillers are very elastic and malleable enough to integrate seamlessly into collapsed skin structures. Juvederm Ultra: This collection of fillers is processed using Hyalacross Technology for a gel with an ultra-smooth consistency. 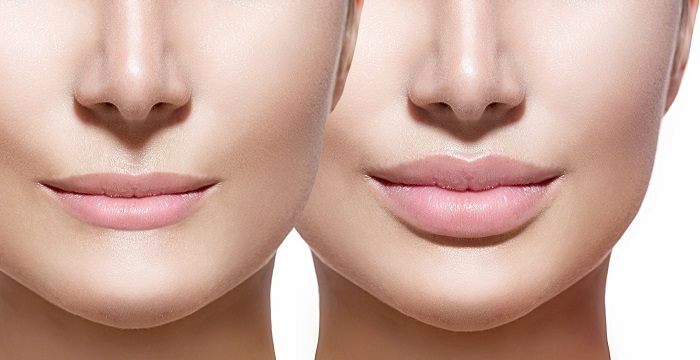 What is the difference between Restylane vs Juvederm? Despite both being hyaluronic acid-based fillers, these 2 brands differ in terms of texture of filler gel. Restylane fillers are composed of biphasic gel, where the particles of hyaluronic acid are suspended homogenously in the gel. On the other hand, Juvederm implants are made of a tightly cross-linked monophasic gel.